Castos Por Amor es un movimiento apostólico de la Arquidiócesis de Miami que comunica la Buena Noticia en una nueva evangelización de auténtico compromiso apostólico "proclamando el evangelio de la castidad". Aporta una pastoral sobre la sexualidad humana basada en el Magisterio de la Santa Madre Iglesia a travós de apostolados de educación, prevención y recuperación. Da herramientas y educación para llevar la castidad como virtud en todos los estados de vida, solteros, consagrados y casados. Las enseñanzas y catequesis incluyen pero no se limitan a: programa radial "Creciendo en el Amor" por EWTN Radio Católica Mundial, talleres, misiones parroquiales, congresos y el retiro Libres Para Amar, basado en la Teología del Cuerpo del beato Juan Pablo II, para mayores de 18 años, hombres, mujeres, solteros y casados. La prevención y recuperación se realiza a través de la consejería clínica cristiana católica de su apostolado Misión San José CCC y grupos de apoyo para hombres ("Grupo de apoyo San José") y para mujeres ("Mujer, llena de gracia") para vivir y recuperar la sexualidad integrada. 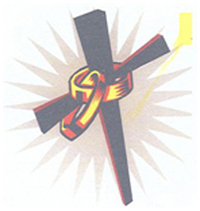 The Couples for Christ (CFC) is a Private International Association of the Faithful of Pontifical Right. This movement is intended for the renewal and strengthening of Christian family life, with its global membership committed to the Lord and to one another, so that they may grow in maturity as men and women of God and fulfill their primary vocation of raising up families under the leadership of Jesus Christ and for the service of the Kingdom of God. Couples for Christ are families in the Holy Spirit renewing the face of the earth. The Covenant Experience is a parish based weekend program to enrich and stabilize marriages. The objective is to enrich marriages by providing a conversion experience on the weekend and a support community of like-minded couples in the follow-up. Family Encounters provides spiritual and psychological retreats for families with teenage children. Weekend retreats for young couples who have children between the ages of 3 to 11. The whole family is invited to participate: parents and children. 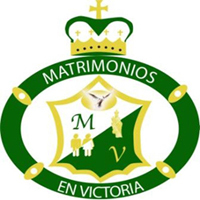 El programa Matrimonió 2000 es una preparación para matrimonios que llevan años de casados por lo civil y no han recibido el Sacramento del Matrimonio (Convalidación). El programa es de un día de duración. 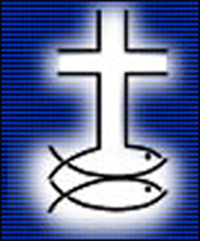 The Christian Family Movement was founded by the late Father Angel Villaronga, O.F.M. Spiritual retreats are offered to young, middle age or older couples that want to enhance their marriage relationship or those who are having difficulties in their marriage. This program is for couples with marital problems that want marriage help. Those who are considering marriage separation and those who are already separated or divorced are encouraged to consider the Retrouvaille Program. There is always hope of reviving your relationship. Many lawyers and judges send couples to Retrouvaille as a prerequisite to filing for a divorce or rendering final decisions. Many marriage counselors and family therapists send their clients to Retrouvaille as a prerequisite to counseling. These professionals know that the tools of communication in marriage taught in the program are often what couples need. The Retrouvaille program is for husbands and wives and is not designed nor intended for couples in a co-habitating relationship. Transformed in Love is a marriage preparation program that uses a "house building" metaphor to illustrate the concepts of establishing, building, and nurturing marriage and family life. It uses a holistic approach -body, soul, intellect and will- to prepare couples for sacramental grace. 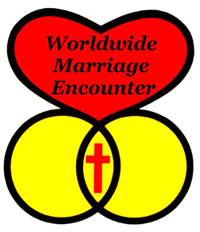 Worldwide Marriage Encounter's mission of renewal in the Church and change in the world is to assist couples and priests to live fully intimate and responsible relationships by providing them with a Catholic 'experience' and ongoing community support for such a lifestyle.